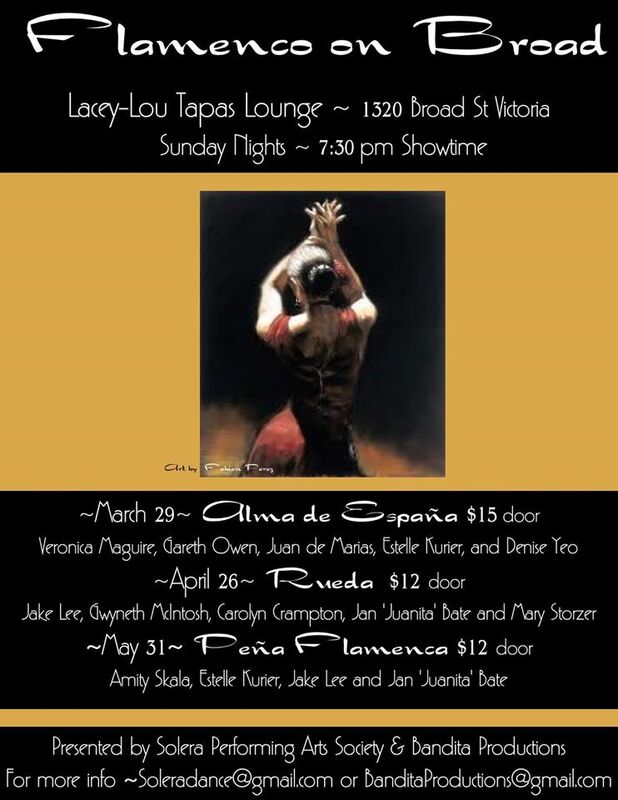 Join Gareth Owen and Alma de España in performance March 29, 2015 as part of “Flamenco on Broad” series. Taking place at Lacy Lou’s Tapas Lounge, 1320 Broad St., Victoria, B.C. Come early, Tickets are $15 at the door, 7:30 showtime! Delicious drink specials, succulent snacks, flaming flamenco! Venue: Lacy Lou's Tapas Lounge, 1320 Broad St.